The Most Reverend Nicholas DiMarzio, Bishop of Brooklyn, will officially rededicate and consecrate the Annunciation of the Blessed Virgin Mary Roman Catholic Church in Williamsburg, located at 259 N. 5th Street, Brooklyn, this Sunday, March 24, 2019, at the 11 am Mass. Highlights of the restoration include the altar, the baptismal font, the ambo, the ceiling and lighting, the murals and the 100-year-old pipe organ brought to the Church in 1930. These renovations have taken place over the last year. The church, opened in 1870, will celebrate its 150th anniversary next year. The Mass will also officially mark the merger of Annunciation of the Blessed Virgin Mary and Our Lady of Mount Carmel parishes. Monsignor Jamie J. Gigantiello is the Pastor. The Most Reverend Nicholas DiMarzio, Bishop of Brooklyn, is announcing the support of the Diocese of Brooklyn, and churches throughout Brooklyn and Queens, for the 40 Days For Life campaign this Lenten season. New York State’s passage of the horrific Reproductive Health Act earlier this year has inspired the Diocese of Brooklyn to join in this global pro-life mobilization. The 40 Days For Life campaign has proven to be effective in increasing awareness of God’s gift of life through prayer, fasting, peaceful vigil and community outreach. “In response to the recent malicious Reproductive Health Act adopted in New York State, I have received dozens of letters and messages from Catholics, throughout Brooklyn and Queens, who are profoundly shocked by this extremist pro-abortion law. As such, I thought it critical that during this season of Lent, our faithful have a greater opportunity to be part of something that places great emphasis on the value of life,” said The Most Reverend Nicholas DiMarzio, Bishop of Brooklyn. “Therefore, I have pledged the Diocese’s support for the worldwide 40 Days For Life campaign, and am encouraging a period of prayer, fasting, peaceful vigil and education to take place in the name of the unborn,” continued Bishop DiMarzio. The Diocese of Brooklyn is encouraging parishes to offer opportunities to pray for an end to abortion during this Lenten season. A number of pro-life church events have already been scheduled, and more are in the planning stages, including an overnight prayer vigil at St. Leo’s Church in Corona, Queens on April 5-April 6 and a pro-life Mass and witness at Presentation of the Blessed Virgin Mary in Jamaica, Queens on March 30 at 7 a.m.
“This year, after the passage of such an anti-life law in New York, it is important that the Diocese of Brooklyn will be participating in this pro-life campaign. Recognizing that with God, all things are possibleour efforts in Brooklyn and Queens will be part of one of the largest internationally coordinated pro-life mobilizations in history,” said Christian Rada, Director of Marriage, Family Formation, and Respect Life Education for the Diocese of Brooklyn. The Diocese of Brooklyn has published the resource materials relating to the 40 Days For Lifeprogram on their website at dioceseofbrooklyn.org/marriage/marriage-and-family including pro-life rosary prayer intentions, blessings for expecting parents, and a litany of petitions to support life. For a full listing of events happening this Lenten season, visit the Meet Me In Church section of the Diocesan website homepage. The Diocese of Brooklyn has announced the funeral arrangements for Retired Auxiliary Bishop, the Most Reverend René A. Valero, who died on Sunday, March 10. 2019. 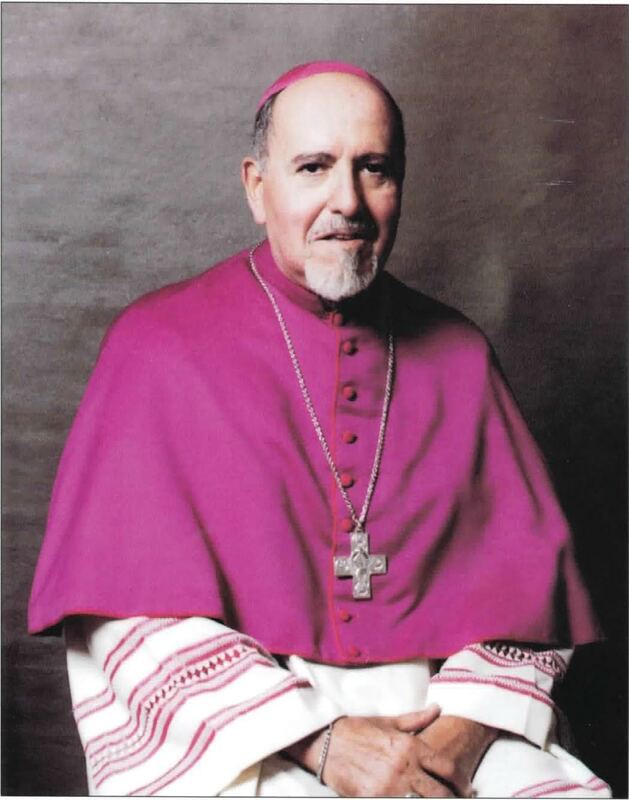 Bishop Valero served for 25 years as an Auxiliary Bishop and was the first Hispanic to serve in such a role for the Diocese of Brooklyn. The wake will be held tomorrow, Tuesday, March 19, 2019, from 2:00 PM – 5:00 PM at Blessed Sacrament Roman Catholic Church located at 34-43 93rd Street in Jackson Heights. A Vigil Mass will also take place at Blessed Sacrament Roman Catholic Church tomorrow evening at 7:30 PM. Bishop Valero previously served as Pastor of Blessed Sacrament Parish. The Most Reverend Nicholas DiMarzio, Bishop of Brooklyn, will preside at the funeral Mass on Wednesday, March 20, 2019, at 10:30 AM at the Immaculate Conception Center in Douglaston at 7200 Douglaston Parkway. Bishop Valero will be buried in the Bishops Crypt at the Immaculate Conception Center. 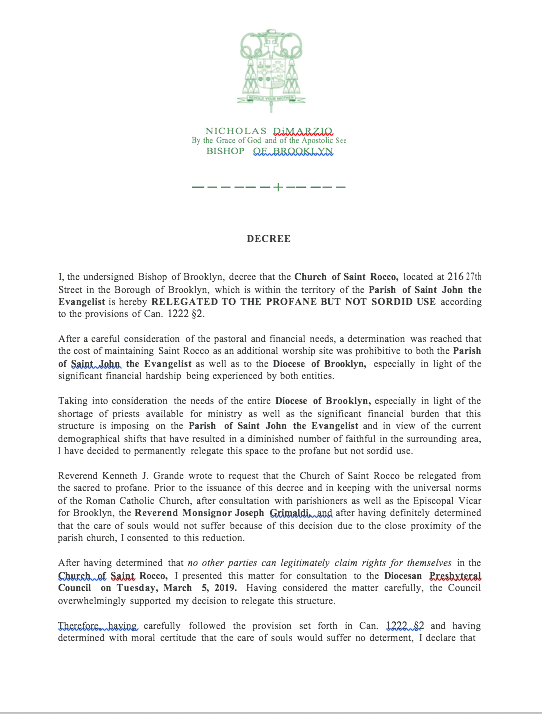 Most Reverend Nicholas DiMarzio, Bishop of Brooklyn, regrets to inform you of the death of Most Reverend René A. Valero, Titular Bishop of Vicus Turris and Retired Auxiliary Bishop of the Diocese of Brooklyn. Bishop Valero was born on August 15, 1930 in New York City, was ordained to the Priesthood on June 2, 1956, was ordained a Bishop on November 24, 1980 and died Sunday, March 10, 2019, at the Long Island Jewish Medical Center. Bishop Valero served the Diocese of Brooklyn as Pastor of Blessed Sacrament (Jackson Heights), as well as Parochial Vicar of Saint Agatha (Brooklyn) and Saint Michael-Saint Edward (Brooklyn). Bishop Valero held numerous curial positions in the Diocese of Brooklyn, including serving as Vicar for Aging Concerns, Chair of the Racism Committee, Regional Bishop of Queens, Vicar for Immigration and Refugees, Coordinator of the Spanish Apostolate, Director of the Family Division of Catholic Charities and as a member of both the College of Consultors and the Diocesan Personnel Board. Bishop Valero was a member of the Priests’ Purgatorial Society. All priests are invited to concelebratethe Liturgy. Please bring your diocesan vestments. If you wish to send condolences, please mail to Mr. & Mrs. Gerard Purtell, Family of Bishop René A. Valero, c/o Bishop Mugavero Residence, 7200 Douglaston Pkwy., Douglaston, New York 11362.